Other than shopping around to find the best fuel efficient cars or the best deal at the pumps, drivers often feel that their hands are tied when it comes to the high cost of petrol. Even if your car is not particularly fuel efficient, there are plenty of changes you can make to driving habits to help your car run more efficiently — find our top nine fuel economy tips below. It’s as obvious as it sounds, but the best way to save on petrol costs is to only use your car when you really need to. The best way to start is by leaving the car at home for short trips and walking, cycling or using public transport instead. Make sure your tyres are inflated to the recommended level — research from Kwik Fit found that drivers are wasting almost £1 billion a year on excess fuel by driving with under-inflated tyres. Driving in heels or big, heavy shoes reduces the sensitivity needed to operate the accelerator. It may seem strange but wearing a pair of thin-soled shoes could allow you to gain better control over how hard you accelerate and how gently you brake — both of which could help you save fuel and drive more safely. 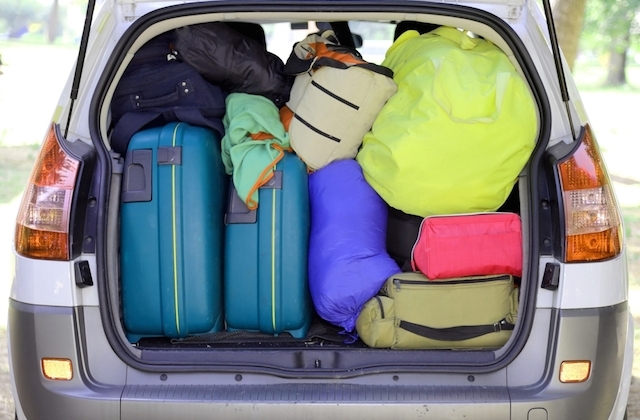 Cut down on excess weight in your car by removing any heavy items from your boot before setting off. Take off bike and roof racks when you’re not using them in order to help reduce wind resistance and save on fuel costs. The faster you drive, the greater the fuel consumption and pollution. AA research shows that driving at 70mph uses up to 9% more fuel than at 60mph and up to 15% more than at 50mph, while whizzing around at 80mph can use up to 25% more fuel than at 70mph. Driving fast increases drag on your car and the amount of petrol you’ll have to use. Avoiding rapid accelerating and braking is also one of the best ways to save petrol — smooth accelerating, steering, and braking reduces energy lost through suspension movement. If it’s safe to do so, turn your engine off when you’re caught in traffic, stopped or parked. Many drivers often like to ‘warm up’ the engine before setting off on a cold winter morning — this can waste petrol and cause damage to the engine, making it best avoided. Air-conditioning can increase fuel consumption at low speeds, but at higher speeds the effects are less noticeable. Open the windows when it’s hot and save the air-conditioning for motorway driving — having the windows open all the time increases aerodynamic drag, so you’ll waste more petrol when you're driving fast. Take care of your car by making sure it’s well-maintained and serviced regularly to ensure the engine is running as efficiently as possible. It also pays to check you’re using the right specification of engine oil. Choosing a fuel efficient car can also make all of this much easier, but there are certainly a few things that all of us can do to improve any car's fuel economy.